Hireme integrates well with all devices that include Desktop, Tablets, and Mobile. It comes with predefined one-click installable demo-content. Click on the “Browse” button and navigate to the downloaded “hireme.zip” file and click Install Now. 1. Extract the downloaded “hireme.zip” file. 2. Upload the hireme.zip folder to the /wp-content/themes/ directory. 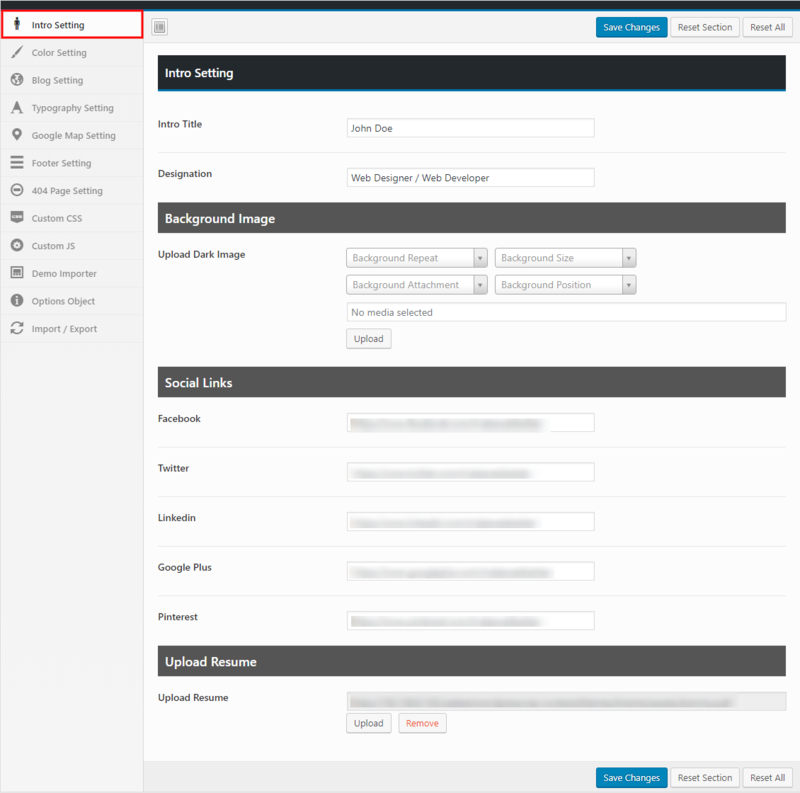 If you installed Hireme Theme, you don’t need to create a new Home Page, you just need to click on the Demo importer, that page will be automatically created from your site. 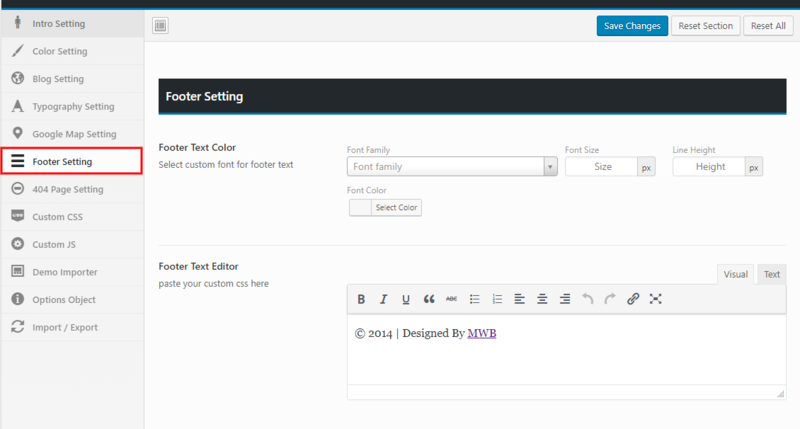 Here simple click on the demo importer button, that the theme automatically imports on your site as well as main theme. 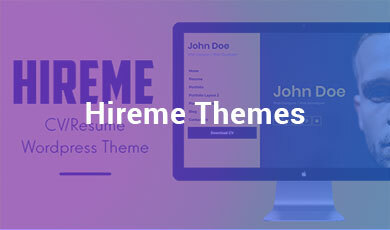 Set the basic introduction of the theme here like Intro Setting, Background Image, Social Media Links, and Upload Resume. Intro Setting: In the intro setting you will write your Name and Designation. Background Image: In this section, you will set the background image of the front page. Social Links: Here you will add the one or more social media links on the front page. Upload Resume: Here you will upload your resume by simply click on the upload button. Here you will set the color version, background image and background color of the theme and also give the primary and secondary text color. 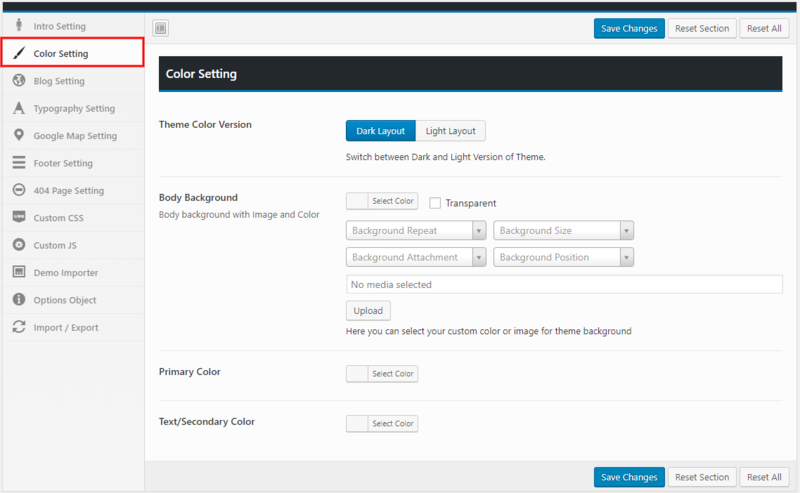 Theme Color Version: In this section, you can switch between the layout of the theme as the dark or light layout. 1)Metadata on the Blog Post: Here you can enable the metadata on the blog page.which is includes. 2)Floating search button: Here You will globally enable/disable the floating search button. 1)Metadata on Blog Detail: Here you will enable/disable the metadata on the blog detail page.which is includes. 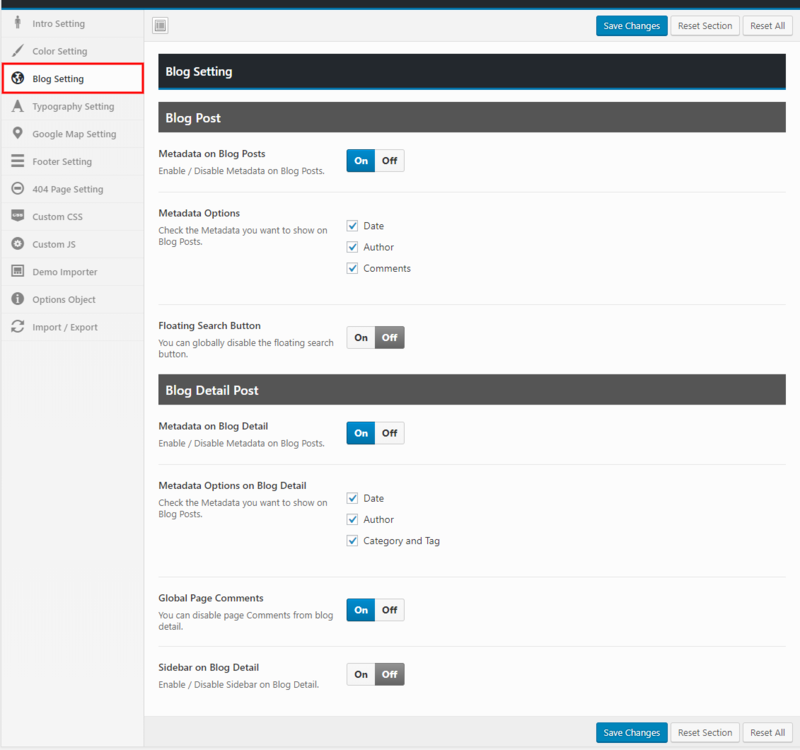 2)Global Page Comments: Here You will enable/disable page Comments from blog detail. 3)Sidebar on Blog Detail: Here You will enable/disable Sidebar on Blog Detail. 1) Enter API Key: Enter the API key for the map. 2) Enter Longitude: Enter the longitude of the location for the map. 3) Enter Latitude: Enter the latitude of the location for the map. Here you can also write your own CSS for the theme. 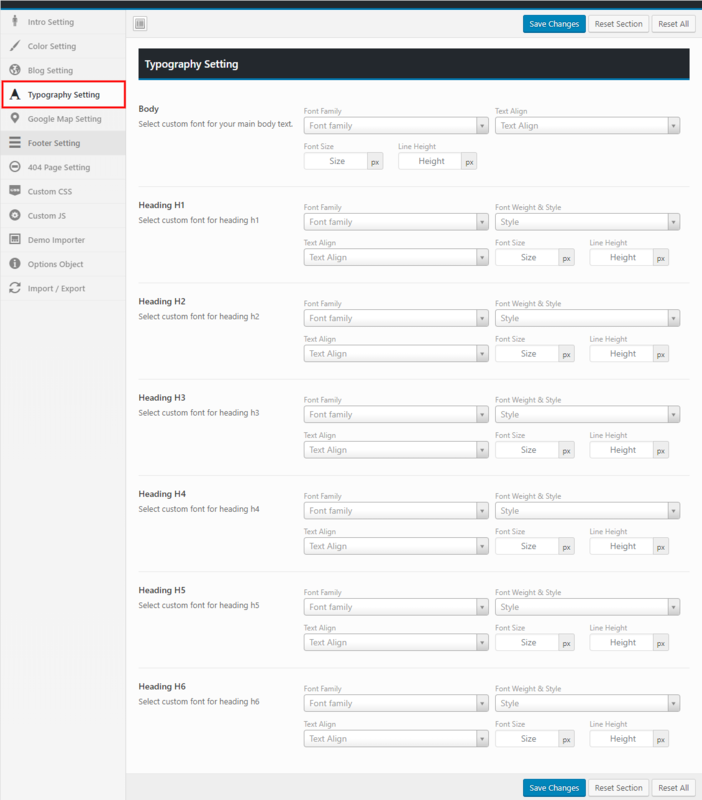 Hireme supports 4 WordPress native post formats. And last click on Edit with kingComposer to add the elements in the portfolio. Here you can click on the Add Element, add select the element type. 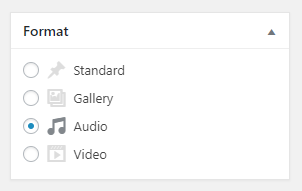 Here we have multiple categories to select the element type like content, Hireme, Social, Clipboard etc. Hireme Category provides all type of resume elements. 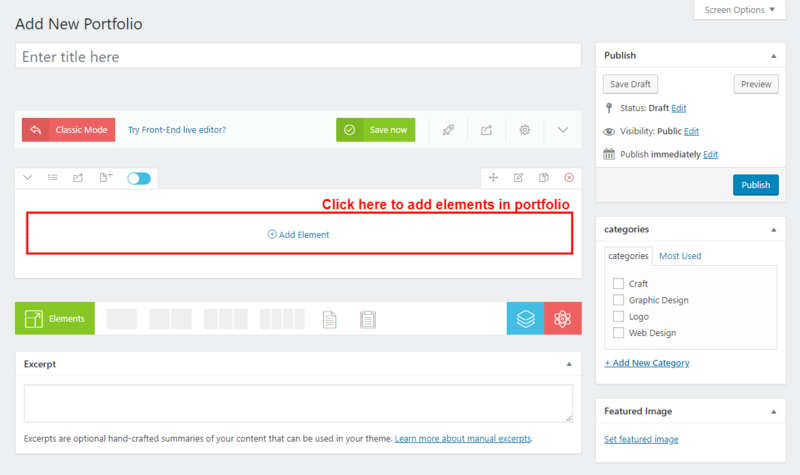 After selecting the element type, you have to enter all the detail of the portfolio. here you can also add the new sections, images, descriptions etc. Number of rows of the page. Elements type of the page. There are so many elements from where you can create a page according to your need but we provide some basic element which is needed for any Resume. Hireme Profile Block: In this block, you can describe your profile. Hireme Skill Block: In this block, you can show your skills. Hireme Experience Block: In this block, you can describe your past experiences in different companies. Hireme Education Block: In this block, you can describe your academic information. Hireme Services Block: In this block, you can show what type of service you provide to your clients. Hireme Awards Block: Show your achievement in this block. Hireme Testimonial Block: Show your client opinion about you with this block. Hireme Portfolio Block: You can show you all last work in the different layout. Hireme Portfolio Detail Block: Describe your work in detail in this block. Hireme Contact Block: Provide some information for the contact us. Fill all the required details after selecting the element and last click on the update button. When there is a new update available for Hireme Theme, It automatically checks for updates and shows notification on the theme menu in the WordPress admin bar. You can just click on the ‘Update Now’ link to install the theme.